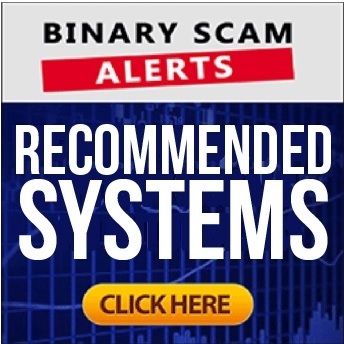 Binary Scam Alerts » Cryptocurrency Scam Reviews » Banking on Blockchain Review, Fake Blockchain Scam Exposed! Welcome to our Banking on Blockchain review and investigative report. The Banking on Blockchain SCAM is fake crypto robot and automated trading system in the form of a get-rich-quick scheme. Banking on Blockchain is not unique in the sense that it is “riding the Bitcoin” wave of success and utilizing the massive media exposure cryptocurrencies such as Bitcoin, Ethereum, Litecoin, Ripple, and Monero. These types of fraudulent software employ a variety of sales tactics which are much more than insipid or tasteless. The aggressive and fraudulent nature of how Banking on Blockchain (which is neither a legit nor genuine crypto trading app) is presented is highly indicative of the type of brazen and highly unethical approach to customer acquisition and sales tactics. The allure of the easy life, end of financial stress, and guaranteed wins with no risk are just some of the usual soundbites which are familiar to us from previous financial scams such as binary, MLM, HYIP, and Ponzi. So let’s make one thing clear right of the bat. Blockchain technology is the future infrastructure of banking and how international transactions will be executed. Any attempt to associate it with get-rich-quick crypto scams is doomed to fail and we can guarantee that Banking on Blockchain will fail the test of time. Keep reading our fair and impartial Banking on Blockchain review to gain a better understanding of who the criminal masterminds behind it are and why we believe it to be a confirmed financial SCAM contrived by crafty affiliate marketers and dirty offshore brokers. Below you will see the Banking on Blockchain SCAM main sales page and registration area. It is very plain to see they are boasting a 90% trading accuracy level. That is a flagrant lie and complete distortion of the facts as our review will prove. Additional evidence can be found in the testimonial section where we have were not able to find one real and truthful evaluation. As we have shown, all the images are taken from Shutterstock and that is highly a highly deceitful and misleading false advertising practice. Hey, so happy you could join me. I’m here to introduce you to the future of trading! That is how the sales presentation starts. Here’s your chance to “emulate legendary crypto trading strategies” and start cashing in big time! Its time to stop living from paycheck to paycheck and take charge of your life by becoming the next Bitcoin millionaire. Your future is now brighter than ever before and opportunity is knocking on your door so make sure to grab it with both hands because offers like Banking on Blockchain only come around once in a lifetime. Right? Wrong! What is Banking on Blockchain and How Does It Work? It is an automated trading system which notifies you when a significant trend is happening in the markets with regards to Bitcoin and other Cryptocurrencies. The software tells you what to trade on and how. No, it is not. Access to this thieving software will cost you at least $250 and that money will be charged to your credit card by crooked offshore brokers who will stop at nothing to get their dirty little fingers on your hard-earned money and steal it. The Banking on Blockchain SCAM is another run-of-the-mill get rich quick crypto scheme. All the tell signs are evident and in plain sight. We have fake testimonials, hyped-up and exaggerated claims of easy money, inflated bank accounts, and outright lies and fabrications. The narrative is a total replica of the usual binary options scam adapted to the crypto scene. In short, stay away! The ones to watch out for are Bitcoin Code and Crypto Robot 365. Yes, we saw a few fake reviews by seemingly “honest review sites”. In fact, these sites are getting bribed and paid to write favorable reviews. Try to use your common sense before investing and if you have any questions or are unsure about how to proceed simply reach out and message us at binaryscamalerts(at)gmail.com. There are hundreds of systems which are launched almost on a daily basis. All of them offer you vast riches at the click of a mouse but the vast majority fail to deliver on their promise and end up being worthless apps designed to steal your money. Fortunately our staff of diligent researchers has compiled a short list of time-tested money-making machines which produce consistent profits for our members. These can be found in our recommended section. The Banking on Blockchain SCAM is just one of many fake crypto systems being launched these days trying to ride the Bitcoin wave. In our detailed Banking on Blockchain review we have uncovered and shed light on critical facts that outline and explain how we reached our conclusions. First, the evidence clearly indicated scam activity and classic baiting tactics. Secondly, we tried contacting these crooks multiple times but could not. Finally, we did some digging around to try and see who the thieves behind the Banking on Blockchain software are, and that connected the dots for us. We are dealing with a sophisticated fraud ring managed by experienced affiliate marketers and unlicensed brokers who specialize in SPAM email marketing tactics as well as paid text ads and popups. Please DO NOT click on any links associated with Banking on Blockchain as they are infected with viruses and malware. Additionally, we now know that these crooks specialize in credit card fraud, identity theft, software manipulation (rigged and set to lose), tax evasion, and money laundering. Yes, it really doesn’t get any worst than this. So, in light of the damning evidence which our staff was able to produce we are forced yet again to blacklist the Banking on Blockchain SCAM and advise our members and viewers to seek alternative and more legit investment channels. As always we would like to remind you to check out our Facebook page and subscribe to our YouTube Channel.